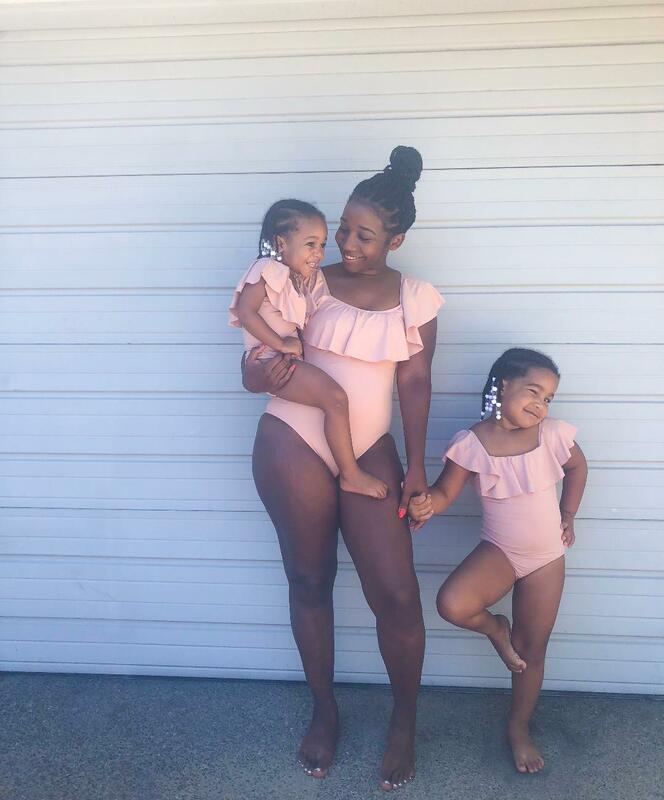 Mommy & me swimsuits (Featuring. Shop Lailak). 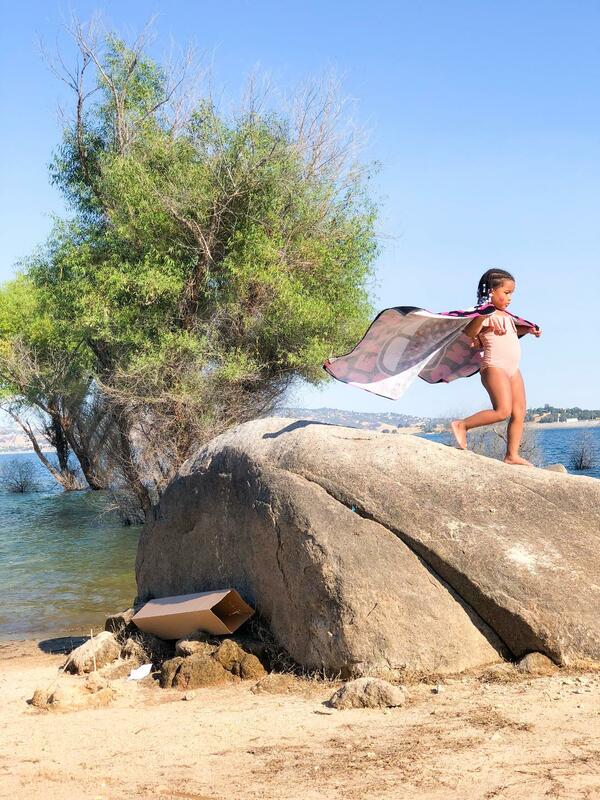 As a girl mom, what's one thing we always wanted to do with our daughters? I know for me it's mommy and me matching everything! I love matching with Ivy and Aria. It's like I have two mini me's. The matching outfits are literally everything. But you know what's one thing that's always super hard to find? Mommy and me matching swimsuits. 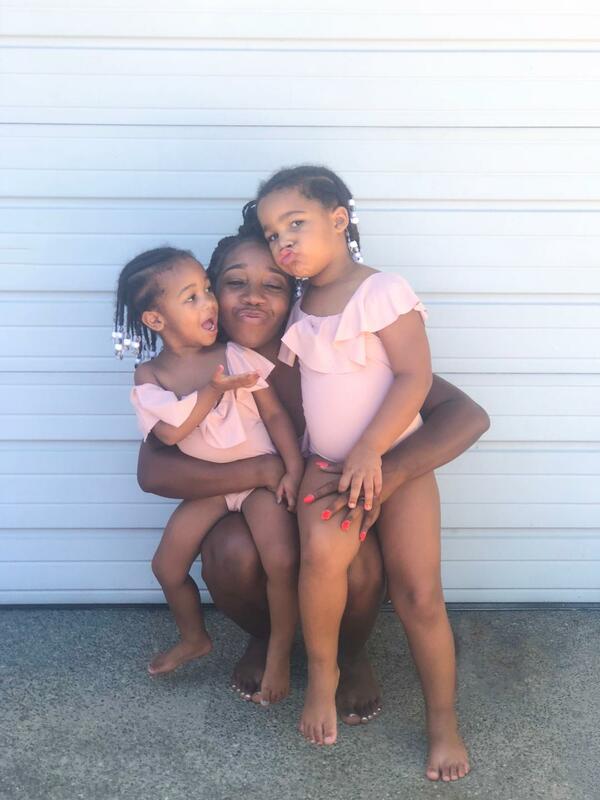 Oh gosh, the dilemma is you want your little girls to match with you, but it has to be something appropriate for them, yet still grown up for you. 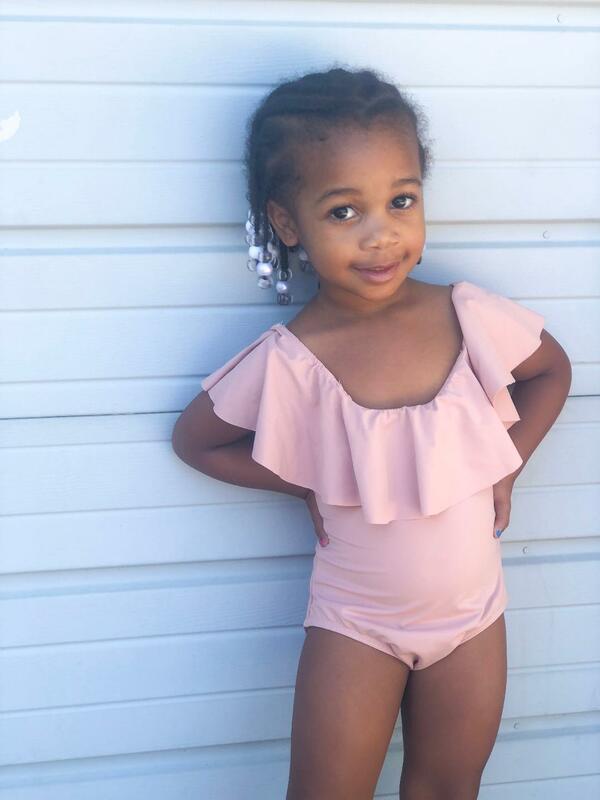 Well now the days of searching high and low for mommy and me swimsuits are over and its all thanks to Shop Lailak. 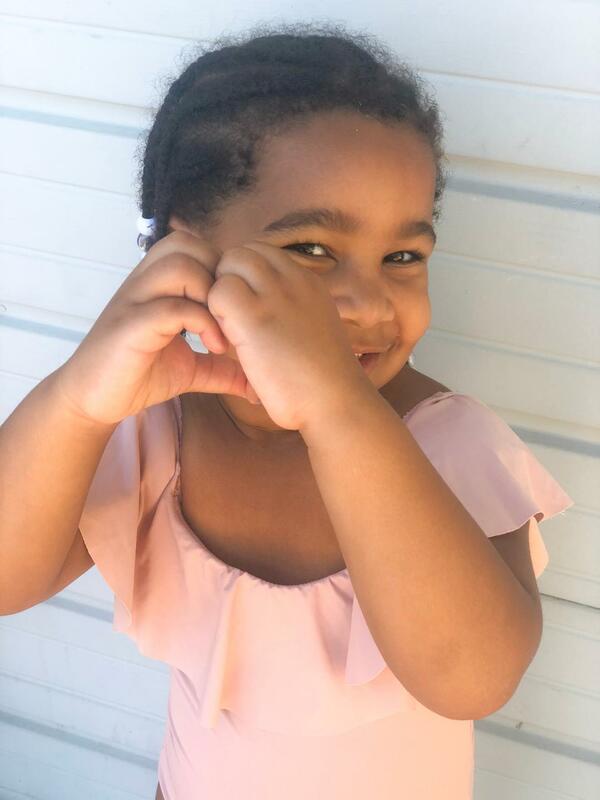 Shop Lailak is an online boutique that sells super trendy clothes and the cutest mommy and me outfits. 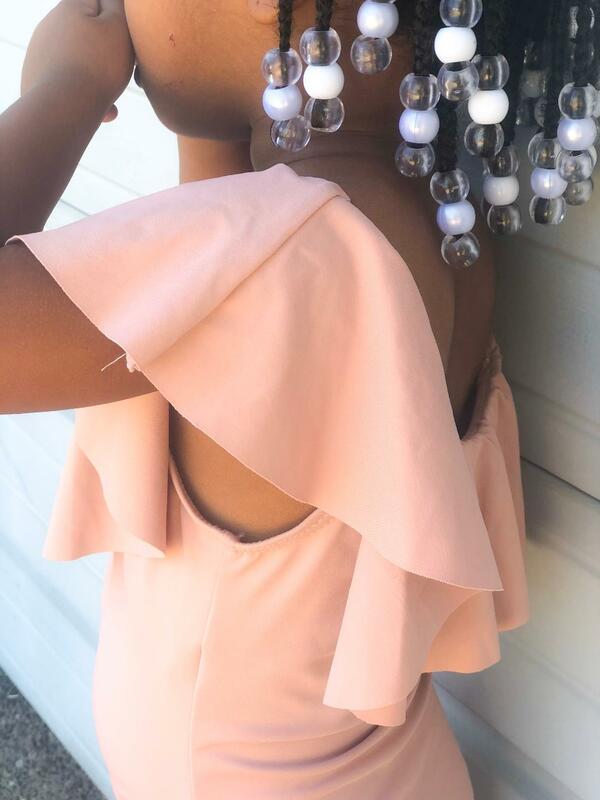 From dresses to rompers and skirts to jeans they have so much to pick and choose from. Ranging in sizes small all the way to 3X mixing and matching styles never been so easy. The goal of Shop Lailak is to provide flattering stylish and comfy clothes for all women/girls of all body types. They even offer 10% off your very first order and free shipping on orders of $100 or more! Plus did I tell you they ship anywhere in the US too? Located in Las Vegas Nevada this boutique will easily be your new favorite go-to store, I know it is for me! When I got the chance to work with Shop Lailak there was no way I was saying no. I received 3 of the Venus off the shoulder ruffled monokini sizes swimsuits in the mail. The moment I opened the package I was so ecstatic. 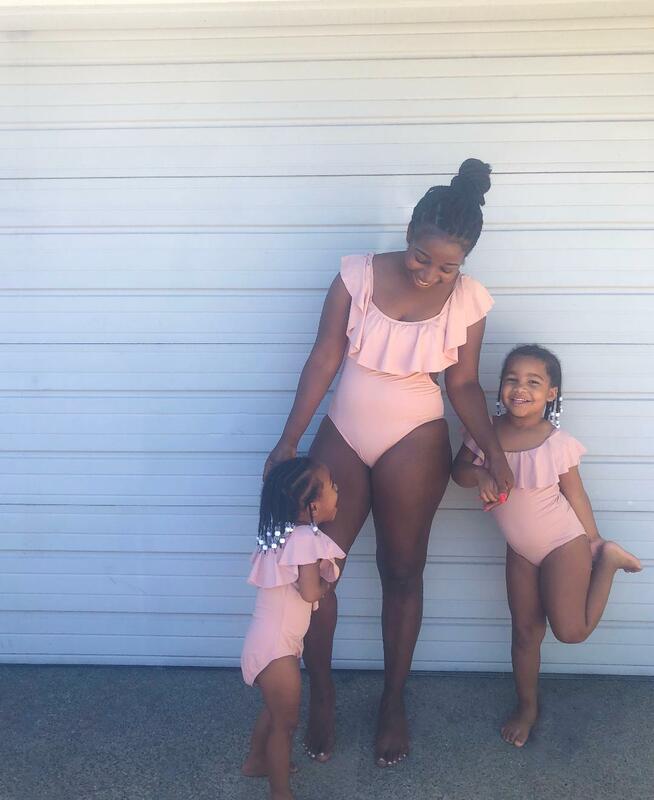 My girls and I have never had mommy and me matching swimsuits before ever! The color was absolutely gorgeous and the ruffles gave the swimsuits an adorable edge. 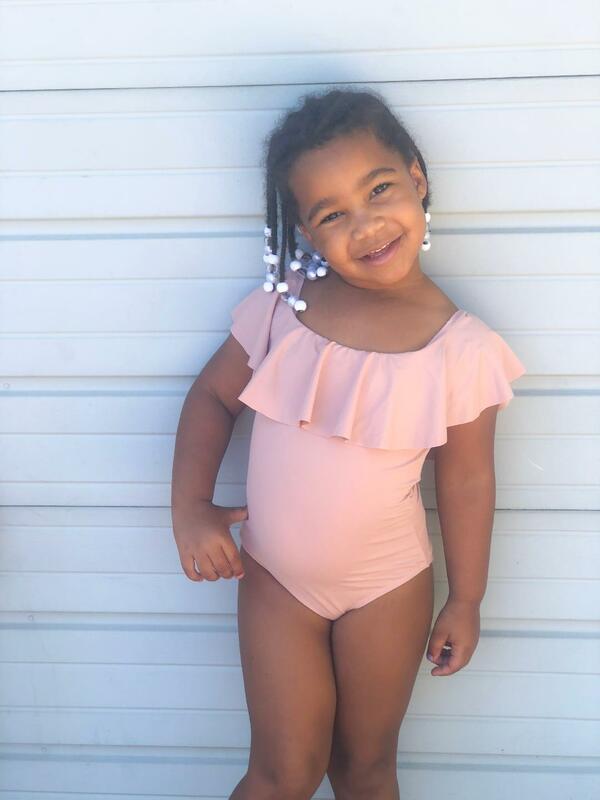 The swimsuits we're extremely comfortable and very cute or as Aria would say so "fashion-able". 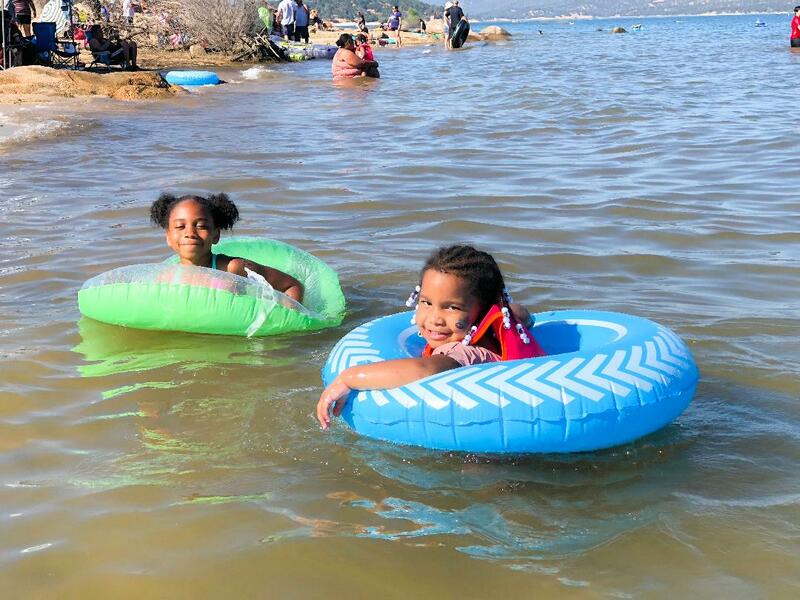 I like them because they were true to size (I had a Large, Ivy a small and Aria a 2T, but she is tiny for her age so I used a safety pin for the back of hers which worked perfect) and they felt good to swim in. Now you can even get yours with the discount code Missporshacarr15 for 15% off! 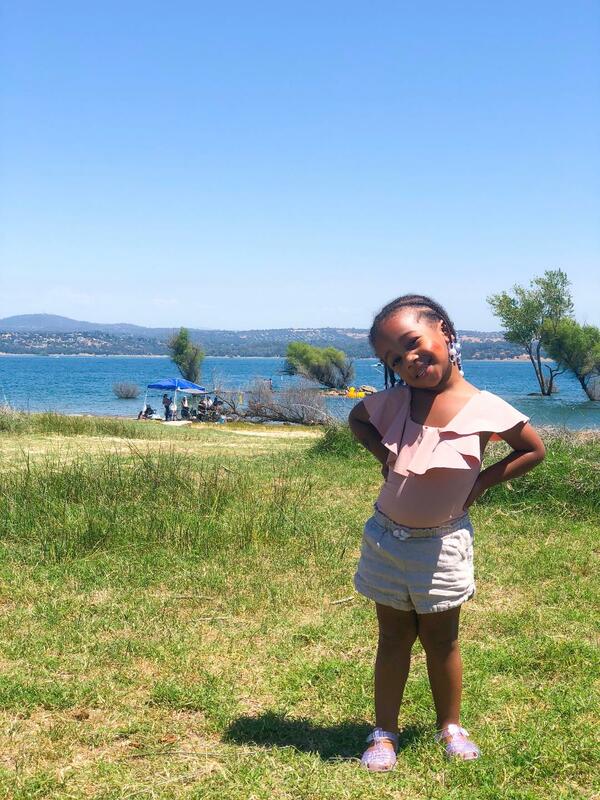 In our Shop Lailak swimsuits, the family and I headed out for a day to the lake! We got a bunch of compliments on our swimsuits when we got there. 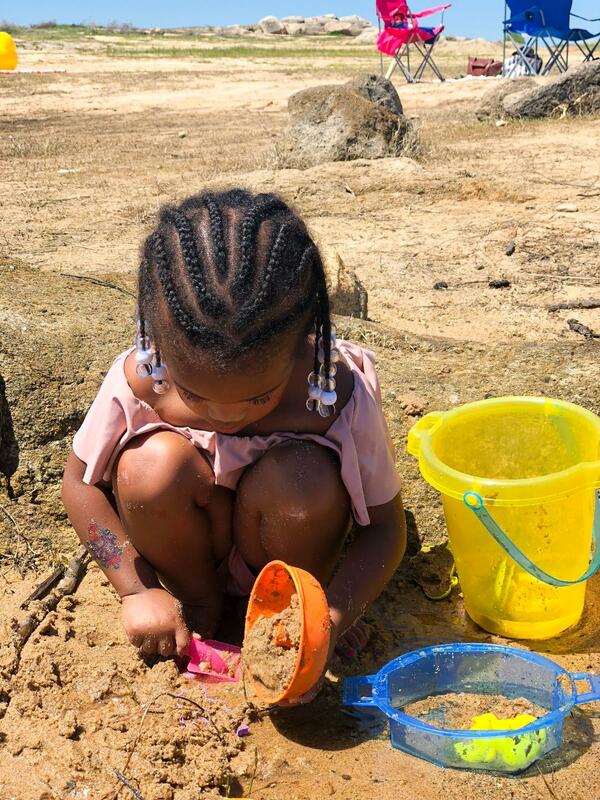 We played in the water together, built sand castles, splashed around and we did it all in our swimsuits. The kids caught fishes and even a crab! while my husband grilled hot dogs for us on the BBQ grill. It was a great day and what made it even better is our new swimsuits. My hubby grills some yummy hot dogs. Random box by the rock. Still a cute photo though. Ivy & her cousin Parisah. 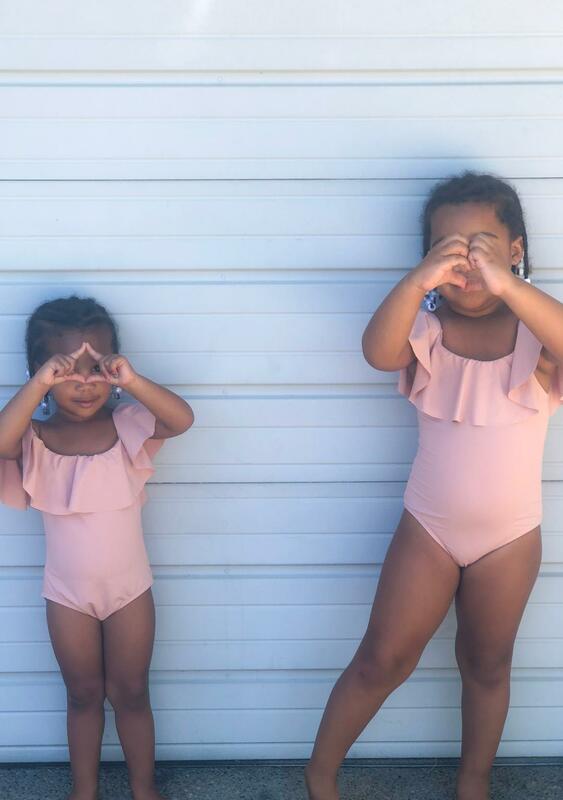 Thank you Shop Lailak for our mommy and me swimsuits! You can Shop Lailak HERE. 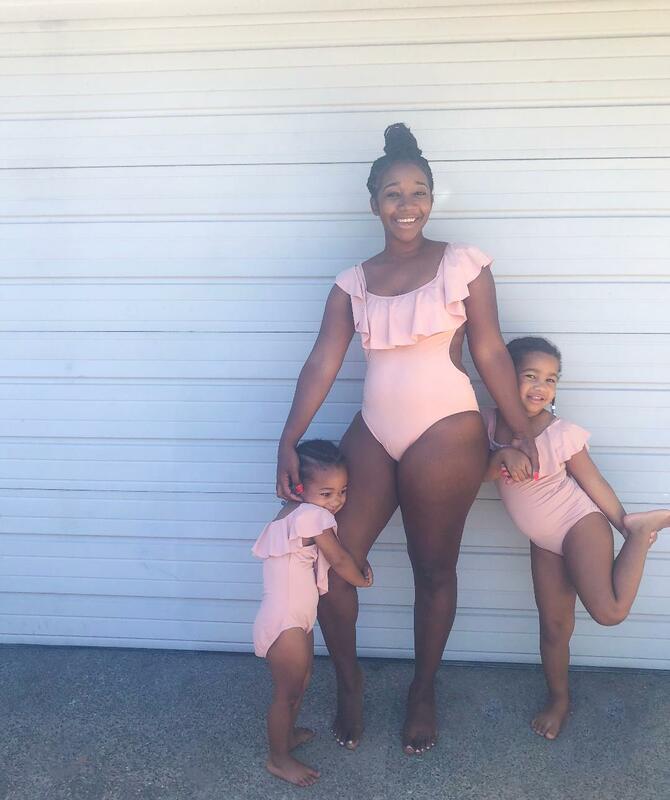 You can buy our matching mommy and me swimsuits HERE. Discount code Missporshacarr15 for 15% off! 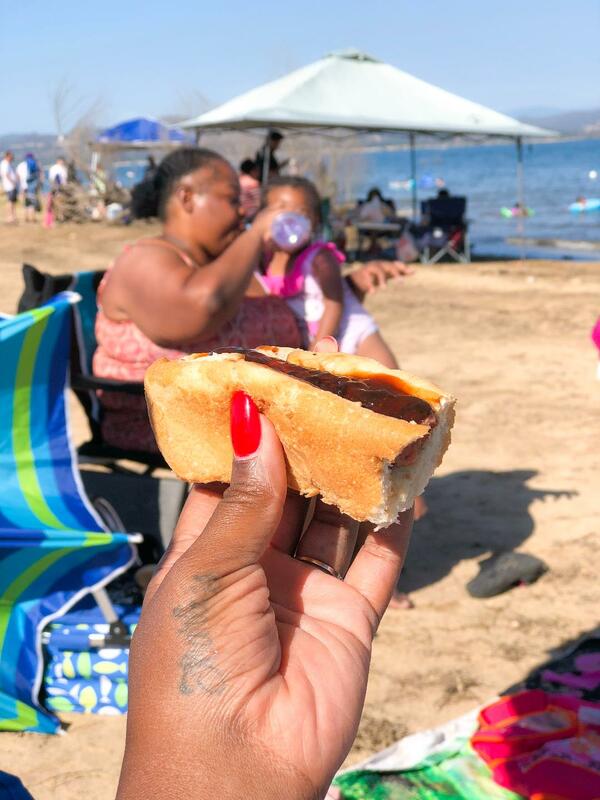 (I received this product for review, but all opinions are my own. Omg you girls look too cute! 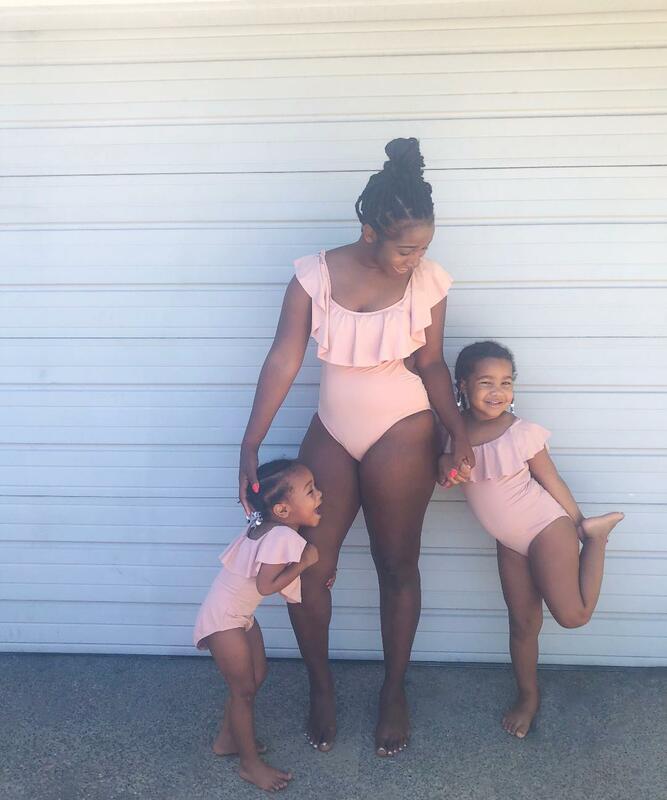 These are the perfect mommy and me swimsuits!